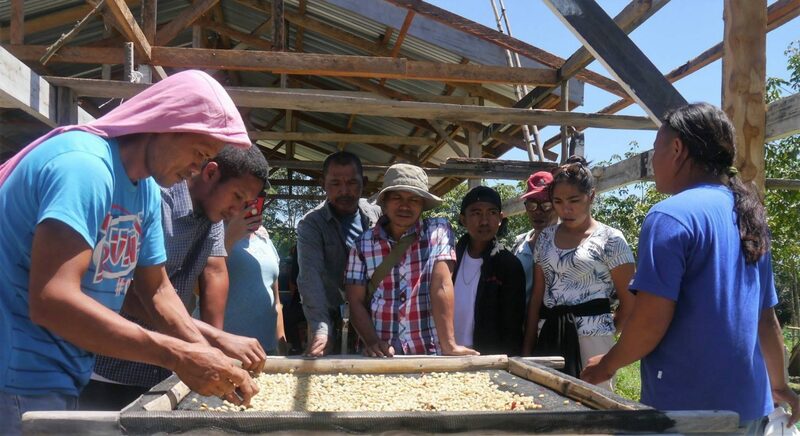 The local government leaders of six key North Cotabato municipalities in Central Mindanao supported their initiative and appointed representatives to learn the PBCI-CFP approach in producing world-class quality coffee, framed in the values of peace theology–that is, harmony with the Creator; harmony with one’s being; harmony with others; and, harmony with the creation. 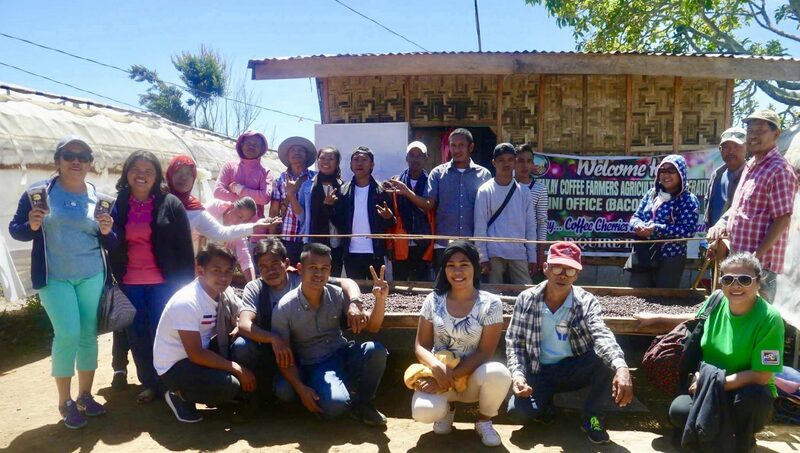 Last 07-08 February 2019, the representatives of those six North Cotabato municipalities, along with Ms. Dee and leaders of PeaceCreed Philippines, went through the initial training at the PeaceBuilders Inclusive Development Learning Center in Managa, Bansalan, Davao del Sur. 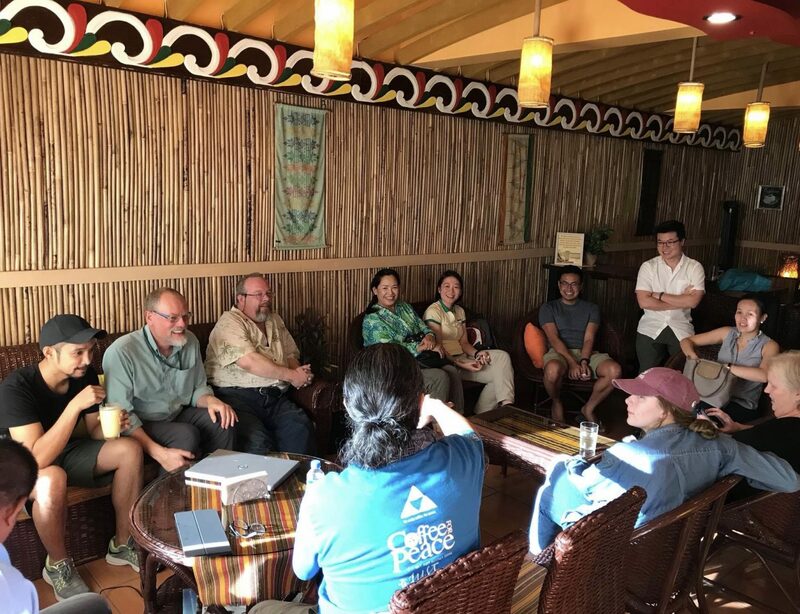 We’re hoping that this would be the beginning of a possible partnership between PBCI-CFP and the six North Cotabato municipalities through the bridging leadership of Ms. Dee and the PeaceCreed Philippines. 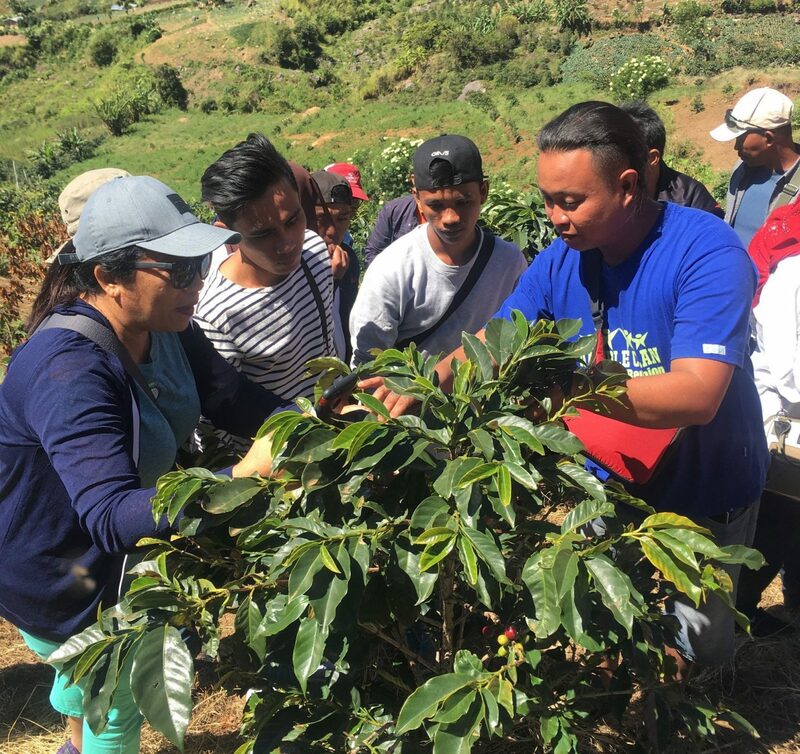 Sonny Bautista, Manager of PeaceBuilders Inclusive Development Training Center, demonstrates to the North Cotabato farmers how to harvest coffee cherries properly. 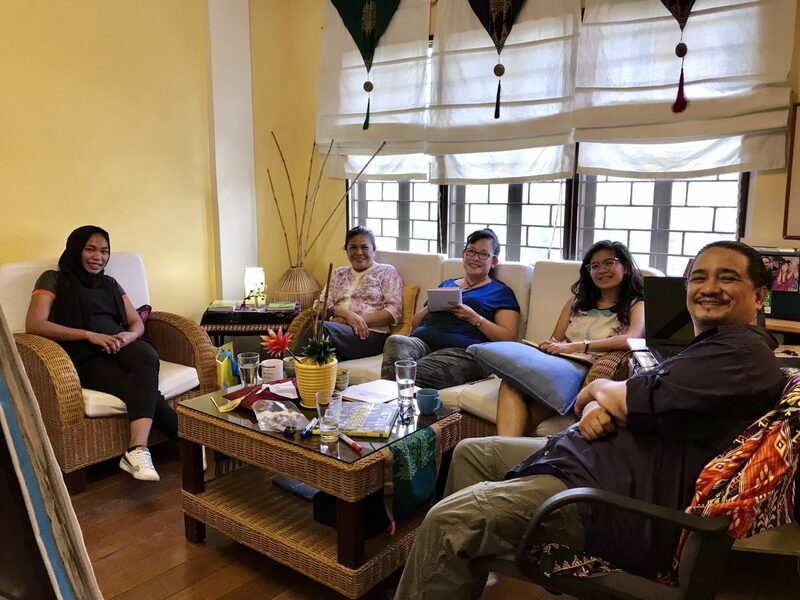 After the motivational talks and story-telling by the award-winning coffee producer Marivic Dubria — second from the left — the North Cotabato representatives take some moments for photo opportunity. 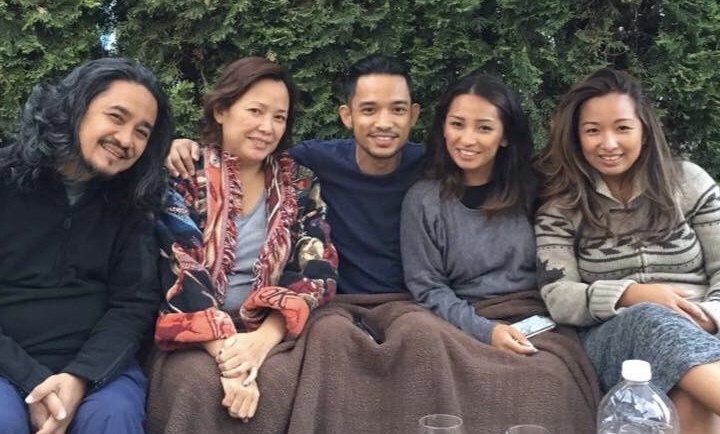 The lady in green shirt sitting at the front right is Ms. Dee. 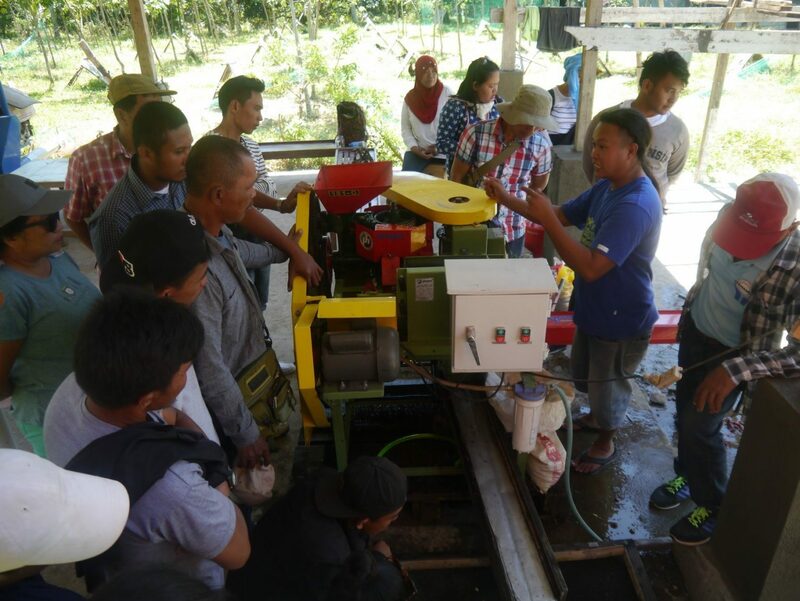 North Cotabatorepresentatives watch as Sonny Bautista demonstrates the process of depulping using our machine at the PeaceBuilders Inclusive Development Training Center. 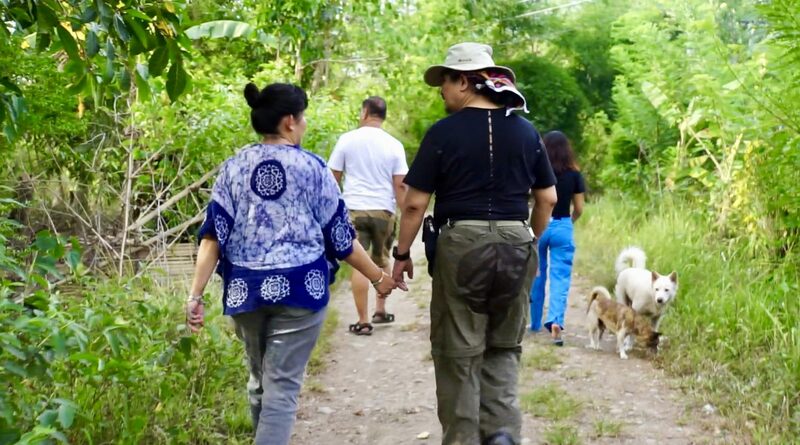 After the actual demonstration, Sonny Bautista answers questions from the North Cotabato farmers. 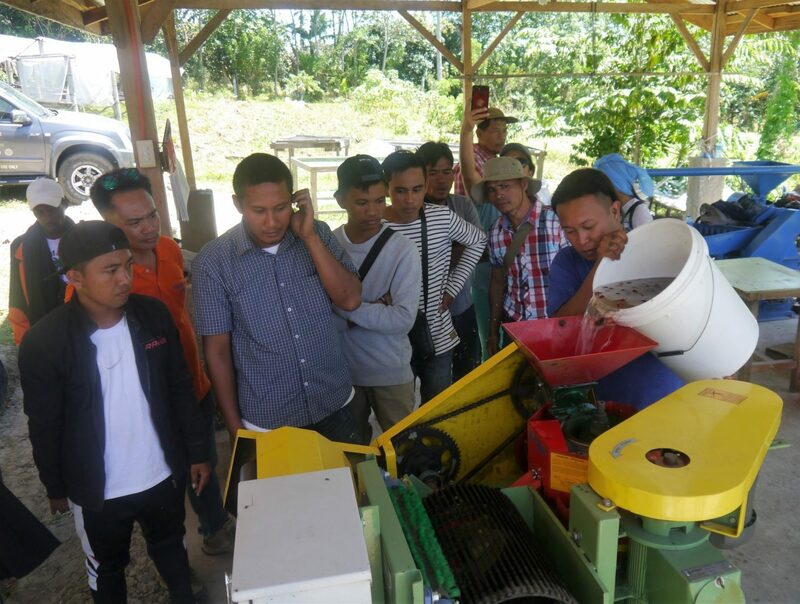 The North Cotabato farmers get a hands-on experience of coffee sorting based on Coffee For Peace standards. 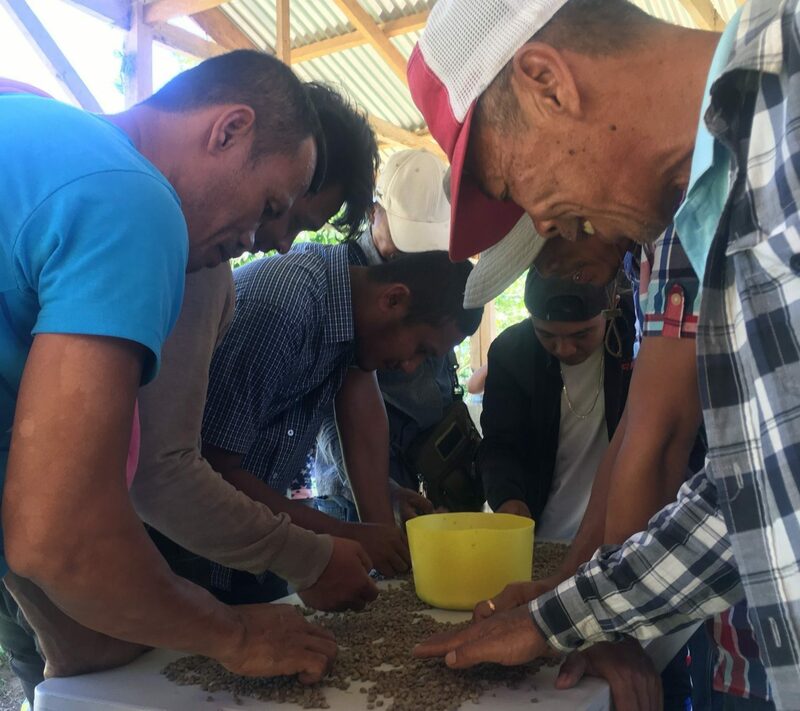 The careful sorting of coffee beans are experienced by North Cotabato farmers. 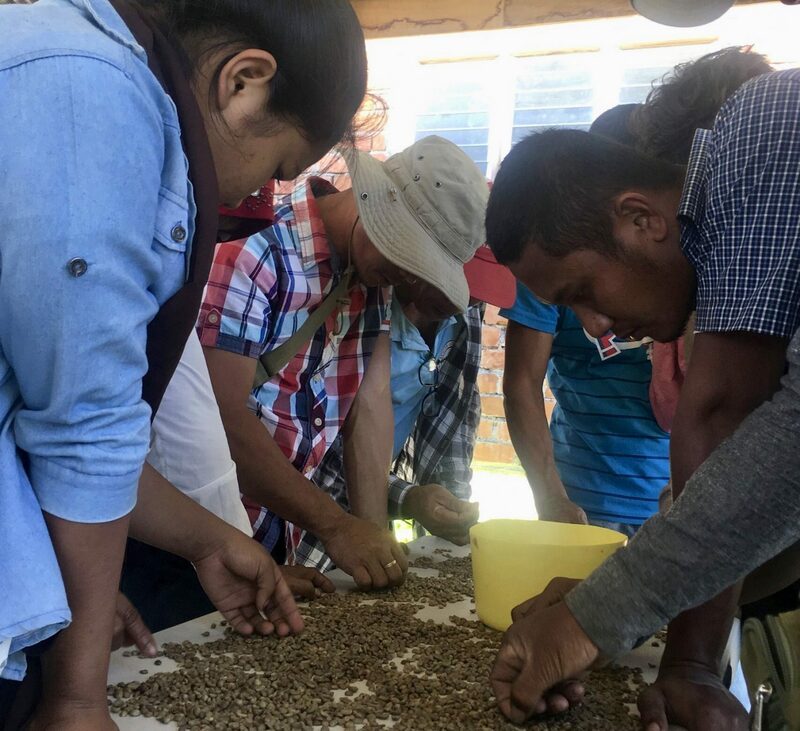 We hope that the quality standards of coffee processing they learned at the PeaceBuilders Inclusive Development Training Center would be taught to the coffee farmers in six North Cotabato towns.